Roarrrr! 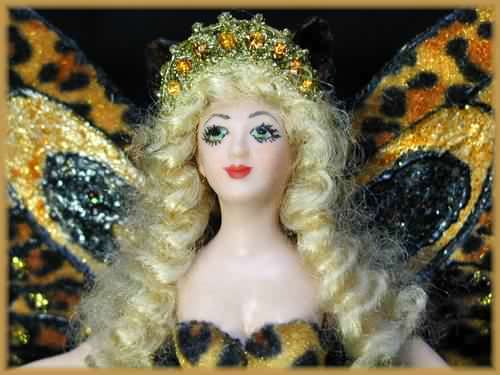 Fairies come in all shapes and sizes - and creatures! Here is Fairy Princess Lea ready to take off to the jungle. She's a leopard fairy right down to her tail and ears! 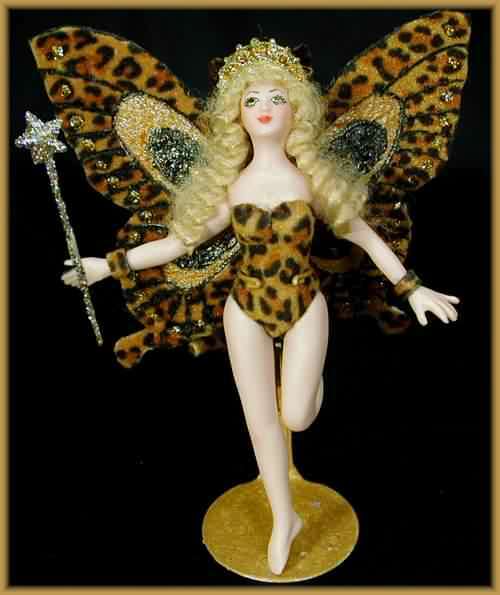 She is dressed in a furry leopard outfit with the same leopard cloth artistically coordinated into her wings and bracelets. 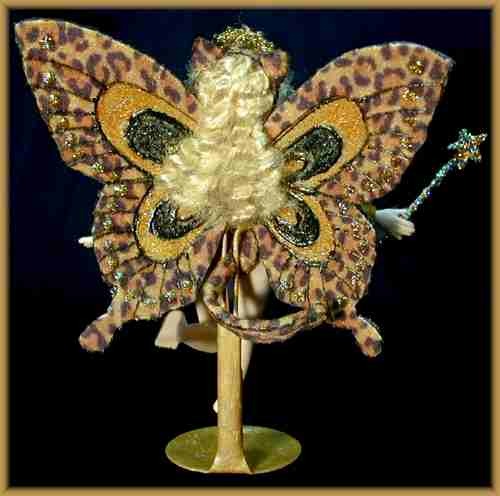 And even leopard fairies wear a gorgeous hand-made crown and carry a starry wand! Fairy Princess Lea is approx. 5.25" tall and has a wingspan of 4.5". Like all JoAnnJ creations, she is a one-of-a-kind work of art and is signed by the artist. She comes with a signed certificate of authenticity.